Construction is underway at Douglas Development’s new project located adjacent to the old Hecht Company warehouse in the booming neighborhood of Ivy City. F. Jennings’ design-build group hired Bignell Watkins Hasser Architects to provide the design of the three-level building, including ground floor and second floor retail and a below grade parking garage. The project is anchored by a new Target store, which will be a hybrid between its traditional big box locations and its new smaller urban express format. 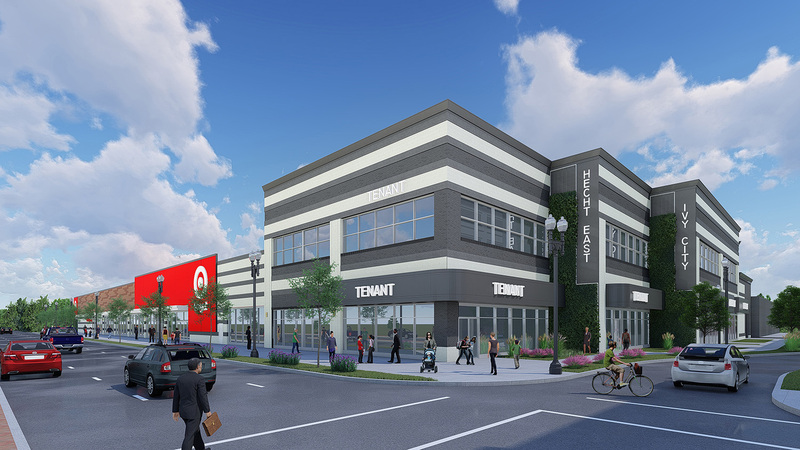 The 67,000 SF Target will include a Starbucks and groceries. The center mimics the industrial aesthetic of the neighborhood, echoing the architectural fabric of the existing buildings while providing a modern addition to the area. Target is expected to open in the Fall of 2019.